Solid Automotive Bhd, an automotive parts trader and distributor is scheduled to be listed in Main Market of Bursa Malaysia on 12th September 2013. The Initial Public Offering (IPO) consists of public issues of 35.4 million new ordinary shares and offer for sale of 8.36 million ordinary shares at an IPO price of RM0.56 per share and RM0.50 par value. Out of this, 7.5 million shares are allocated for application by Malaysian public and 9.8 million shares reserved for the eligible directors and person contribute to the group. The remaining shares are for private placement. The IPO exercise is expected to raise RM19.8 million and the proceeds will be used for capital expenditure (12 million), working capital (5.3 million) and payment of listing expenses (RM2.5 million). Solid Automative Berhad was founded in 1982, and now they has seven branches in Malaysia and one in Singapore. Currently, the company had an inventory of 18 in-house brands, over 100 third party brands and more than 7,000 stock-keeping units. 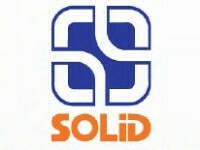 Solid Automotive’s subsidiaries Solid Corporation, Twinco, Auto Empire, JBS and Uni Point are involved in the trading and distribution of automotive parts and components as well as remanufacturing of automotive alternators and starters for the passenger and commercial vehicle segments in the automotive aftermarket in Malaysia and overseas. More information about Solid Automotive can be found in their website. The table below is the financial summary for Solid Automotive Bhd. Alliance Investment Banks is the principal adviser, underwriter and placement agent of the IPO while MainStreet Advisers Sdn Bdh in the Joint Adviser. For those who are interested in Solid Automotive IPO, you may subscribe at ATM machines or via Internet Banking. The subscription period is opened until 30th August 2013 at 5pm. Tentative balloting date is on 3rd September 2013 while the allotment date is on 10th September 2013. Solid Automotive stock name in Bursa Malaysia is “SOLID”. View Solid Automotive prospectus in Bursa Malaysia webpage. What do you think about Solid Automotive IPO? Are you going to subscribe? Sound good for apply based on the revenue and operation fees… but wonder why this IPO raise so little fund ? sound like smb….?? What do you think 1 million dollar? Financially, this company seem to be good. There is growth & dividend plan. Other than that, I have no comment. Do you plan to subscribe? lets see KLSE movement first b4 closing date. What do you think 1 million dollar? Do you plan to subscribe? The company seem to be OK but I won’t subscribe due to unfavorable stock market condition. ok.. thanks for the tip..